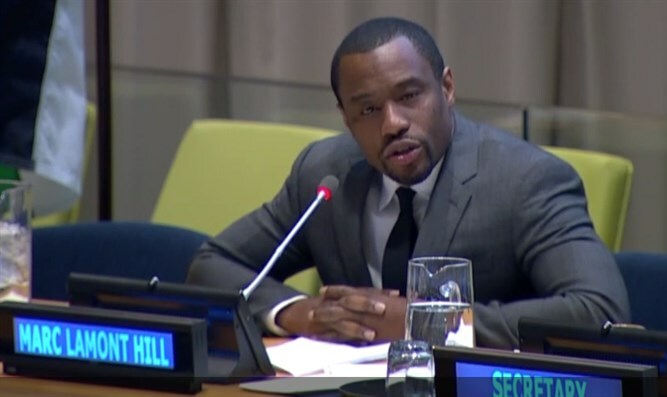 CNN lets go of Marc Lamont Hill after he calls for ‘free Palestine from the River to the Sea’ at the UN. During his speech, Hill explicitly endorsed the BDS movement and said that “justice requires” a “Free Palestine from the River to the Sea,” a phrase that has long been used to call for the destruction of Israel and its replacement by a Palestinian Arab State. “Contrary to western mythology, black resistance to American apartheid was not” purely nonviolent, he said. “Tactics otherwise divergent from Dr. King or Gandhi were equally important to preserving safety and attaining freedom. If we are in true solidarity, we must allow them the same range of opportunity and political possibility. We must recognize the right of an occupied people to defend themselves. We must prioritize peace, but we must not romanticize or fetishize it. We must promote non violence at every opportunity, but cannot endorse narrow politics that shames Palestinians for resisting, for refusing to do nothing in ethnic cleansing,” Hill said. “Marc Lamont Hill is no longer under contract with CNN,” the company said in an email. Hill’s comments drew accusations of anti-Semitism from mainstream Jewish groups in the US.